Crystal Nugget Drape Chandelier exudes elegance. 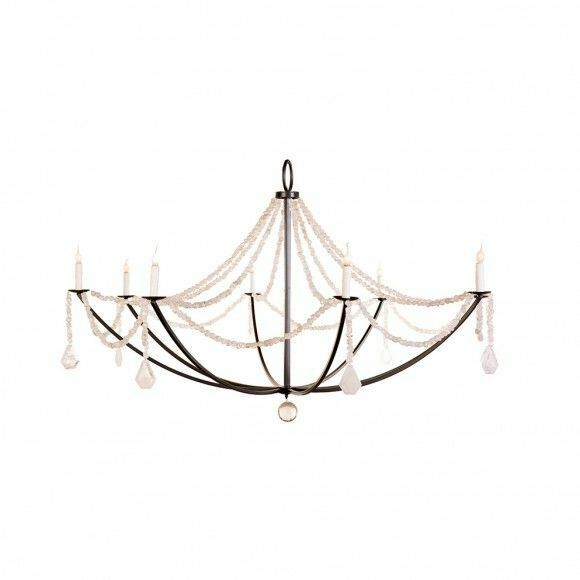 Strands of quartz crystal nuggets drape over open arms of the chandelier that is topped with replica candle lights. C'est magnifique.